Har-Tru, LLC and NLS Lighting announced today that the two companies are teaming up to deliver NLS Lighting’s VUE fixture to the tennis industry. VUE TENNIS is an innovative, LED system that has been designed by a nationallyranked, tennis player and lighting engineer specifically for tennis. Har-Tru will start marketing and selling the line immediately. "This is an exceptional product," says Tracy Lynch, Har-Tru's Director of Sales. "The VUE is achieving strong, uniform levels of light even at ten feet above the court surface, and that is where the ball is traveling much of the time. This just blows away anything we have seen from other systems. Installation is easy as well. All you have to do is take down the existing fixture (and sometimes the arm) and put a new one up in its place." Typical fixtures use LED’s that stick out below the bottom of the fixture and are covered with a plastic lens. 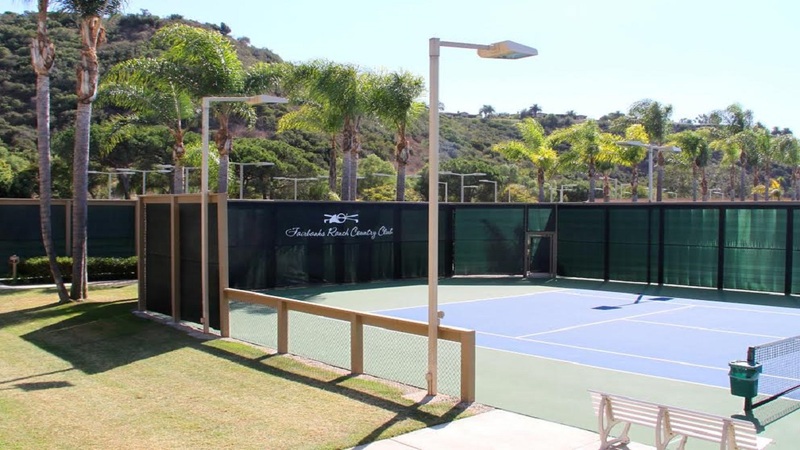 VUE Tennis recesses its LED’s far into the housing and protects them with a single glass lens significantly reducing glare and light loss. The system has a proven track record with installations at many of the nation’s premier facilities. It easily mounts to existing arms and comes with a 10-year warranty. "We are constantly seeking product concepts that help create a better place to play," commented Sandy Hunt, who manages Har-Tru's product line. "That is why we are so excited about the VUE. It improves playing conditions, reduces the cost of ownership for facilities, and is better for the environment. It is not often we get a package like that to share with our customers!" "We are confident that Har-Tru is the right company to represent our tennis line," says Bill Hein, President of NLS Lighting. "They are extremely connected to the game of tennis, the courts and equipment, and the player experience. They also have a team with a proven track record of delivering product solutions that solve a need for their customers. Placing VUE Tennis in their hands just makes sense." Over the next several weeks Har-Tru and NLS Lighting will be working together to develop the website and educational materials for customers but Har-Tru is already actively selling systems. The two companies are also finalizing a demo program that will allow customers to try out a set of lights at no cost. Interested parties should contact Har-Tru for more information.